Private Company Valuation, Part 2: Could You Be in the Meth Business *and* the Empire Business? 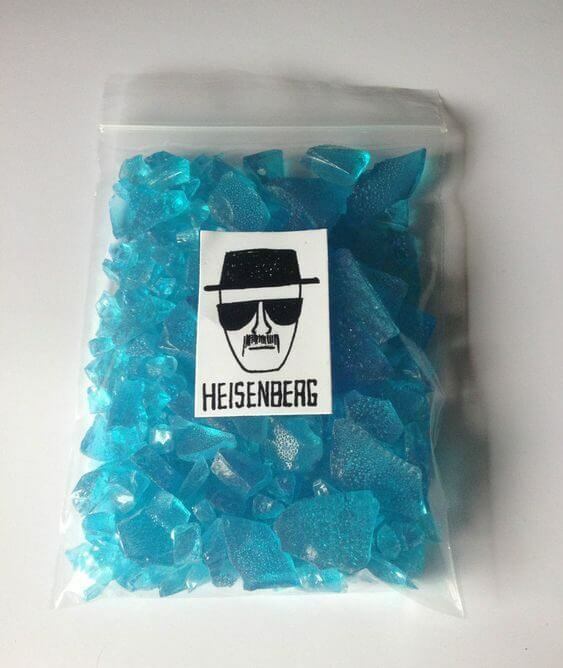 If you start a business selling crystal meth from your RV, could it resemble a Fortune 500 company? Last time around, I used Walter and Jesse’s conversation in Breaking Bad about Meth Businesses, Money Businesses, and Empire Businesses to explain private company valuation. Most people incorrectly assume that all “private companies” are valued in the same way. But they’re not: Does Ikea resemble a 5-person barber shop? You can divide private companies into true small businesses (“Money Businesses”) that are dependent on a few people, startups that want to get big quickly (“Meth Businesses”), and huge companies that just happen to be private (“Empire Businesses”). Valuation differs a lot for small businesses, but far less for huge private companies. But that’s not quite right, either. It’s a very traditional way of looking at this topic: Using public company valuation as a starting point and explaining the differences. But the lines between public and private companies have been blurring. Rather than thinking about the category a company is in, you should think about where it is in the “gradient” between public and private. And rather than assuming there are “differences” in private company valuation, you should use these differences to question the basic tenets of traditional valuation. Google was founded in 1998 and went public in 2004; Cisco was founded in 1984 and went public in 1990; Amazon was founded in 1994 and went public in 1997. 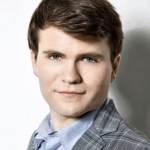 Companies did this because they had to: There weren’t many late-stage investors willing to sink hundreds of millions into cash-flow-negative startups to fund growth. Past a certain point, startups had to tap the public markets for capital. But Facebook changed all that by accepting huge late-stage investments from DST and Microsoft, and companies like Airbnb, Uber, and Xiaomi have taken that trend even further with multi-billion-dollar rounds of debt and equity. It’s misleading to think of these large, late-stage startups as “private companies”; they’re more like public companies with small floats and limited information. Decades ago, it was impossible to buy shares in a private company unless you worked at the company. But SecondMarket (now NASDAQ Private Market) changed that when it started listing shares of private companies and letting market participants buy and sell them. It’s now feasible to acquire shares of tech startups and other private companies even if you haven’t worked at any of these firms. Some startups even encourage employees to sell their shares – companies like Atlassian and Airbnb did this in their late-stage funding rounds. In the U.S., “Reg A+” is a part of the JOBS Act that lets companies raise up to $50 million from both accredited and non-accredited investors. After that, the FAST Act formalized rules on trading the shares of private companies. And then Regulation Crowdfunding went into effect, which allows capital raises of up to $1 million from the general public with minimal disclosure requirements. To go beyond that, though, companies need audited financial statements and public SEC reports under Reg A+. Therefore, to raise money from this broader group of investors, private companies already need to resemble public companies. As asset managers such as Fidelity and T. Rowe Price have gotten into the startup investing game, they’ve also been reporting on the values of their portfolio companies quite publicly. This move surprised many in Silicon Valley, who had assumed that these newcomers would just hold their investments at cost. But this trend makes perfect sense: If you want to raise money like a public company and attract a broader investor base like a public company, you must disclose information like a public company and handle valuation ups and downs like a public company. If you can Google a company and find its revenue for the past two years and current valuation, it’s not a real private company. Most of these changes refer to tech and biotech startups. There have been fewer changes in the lower end and the upper end of the private company universe. It’s not feasible for true small businesses to get audited financial statements or to set up strict controls and corporate governance, nor do they have any reason to. Why would a family-run hotel chain started in 705 (yes, over 1300 years ago) want to raise capital on a crowdfunding site? At the upper end, little has changed because huge businesses have no reason to make their shares available, disclose more information, or raise outside capital. So, What Makes a Company “Private”? The truth is that many private startups are, effectively, public companies. Rather than dividing companies into “public” and “private,” you should think of it as a gradient: Some companies are more public, and others are more private. Since the classifications have blurred, the valuation differences have also blurred. Many private companies do not report items in a “standard” way on their financial statements. For example, many business owners take a small salary but also pay themselves a dividend that’s taxed at a lower rate. An acquirer or investor would re-classify that “dividend” into operating expenses for the company. These are common problems for private companies, but you shouldn’t assume that all public companies have completely fine financial statements. For example, we recommend converting Cash Flow Statements created with the Direct Method to ones based on the Indirect Method instead, as it makes modeling and valuation far easier. Should Stock-Based Compensation be added back to calculate EBITDA? Answer: No! It’s not even a real non-cash expense, and it’s certainly not a non-recurring expense. Should a company be allowed to use a ridiculous metric like “Adjusted Consolidated Segment Operating Income,” as Groupon famously tried to do? Answer: No! Is that “Restructuring” expense that has appeared for 8 of the past 10 quarters a true “non-recurring expense”? Answer: No! Since many companies achieve higher valuations in the private markets than they do in the public markets, it’s misleading to assume that all private companies are worth less than their public peers. If a private company’s shares trade like those of a public company and you can easily find its financial stats, you shouldn’t be applying much of a discount. On the other side, you could arguably apply an illiquidity discount to certain public companies. For example, if the company is public but its float consists of only 10% of its shares, is it “liquid”? Or if there’s such limited trading volume that it’s impossible to exit a large position quickly, is the company “liquid”? And now to the punch line: The concept of Terminal Value in the DCF analysis is flawed. The fact that you have to discount it in a private company DCF demonstrates its flaws. The problem is very simple: No company, public or private, lasts forever. 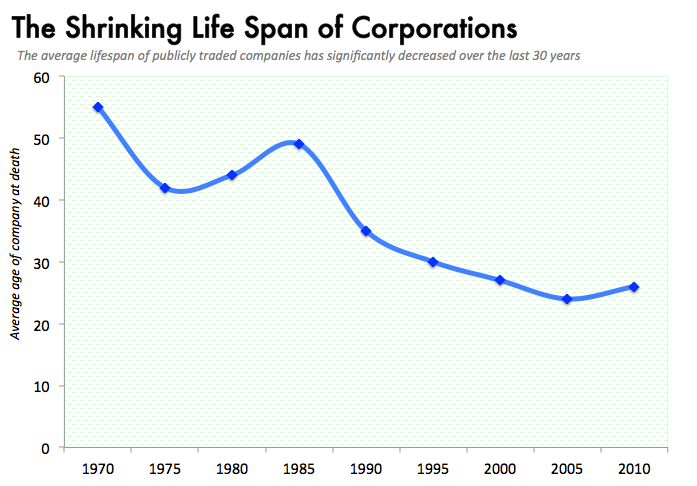 Historically, the average lifespan of multinational corporations was only 40-50 years. But if a company dies after 40-50 years, its cash flow will not keep growing by 3% per year and then suddenly drop to 0 after Year 40 or Year 50. If that happens, the discrepancy is more like 15-20%, which is significant. And if the company goes out of business more quickly, the discrepancy will be even greater. The “Project Finance” / “Oil & Gas“Approach: Project a company’s cash flows further into the future (say, 20-30 years), and assume that the company shuts down or fails after a certain point. Use an analysis like the Residual Income Model where “value” is created only if ROIC exceeds WACC (or if ROE exceeds Cost of Equity). In these models, most of a firm’s value is based on its current Balance Sheet. Discount the Terminal Value (before you discount it to its Present Value) to reflect how the business will eventually die, or use the company’s future Liquidation Value instead. Bankers will not understand these points, so don’t bring them up in interviews. However, if you’re in an interview you don’t care about and you want to see the other person squirm, you could try arguing your case. ~10% of public companies fail each year, which is up from 2.5% in 1965. The 5-year mortality risk is between 25% and 40%, depending on the sector. ~75% of S&P 500 firms will be replaced by new firms in the next 10 years. And see what they think about Terminal Value in light of these stats. The Implications: Can You Make Money from Mispriced Companies? If Terminal Value overstates most companies’ implied values, you might think you could make money by shorting companies, particularly ones that are likely to be disrupted. There’s often no clear catalyst. You’d need a long holding period for these valuation discrepancies to unravel. Valuation is based on future expectations. If everyone’s expectations are wrong, and everyone continues to be wrong… nothing changes. One of the great unsolved problems in physics is how to unify quantum mechanics and general relativity. The fact that the theories and math are different feels wrong; it seems like there should be one grand theory that ties everything together. I think of public and private company valuation in the same way. Fortunately, it’s easy to reconcile these concepts in finance: Public company valuation should be more like private company valuation – so eliminate some of the differences. You shouldn’t take a public company’s financial statements at face value. And you shouldn’t assume that a public company can operate indefinitely or grow at the same rate until the end of time. Change those assumptions, and that crystal-meth-cooking RV might start to resemble a Fortune 500 company – after you do enough meth, of course. Thanks a lot for the great content! Can you tell me whether my logic is correct? I want to be an entrepreneur (full time), but still am not sure what industry to go into. I’m also about to go to college in the USA for 4 years and take on a good amount of debt. Would it be better for me to aim for a job in investment banking or a job at a top company like Google, Facebook, etc? You said that you learn more in IB than 99% of other jobs. I’m wondering if what you learn applies to entrepreneurship? I also don’t think I want to start a business with student loans, so I’m not sure how long it would take to pay those off if I was working at a top firm. Starting a business with existing student loans isn’t a good idea. Either pay off the loans first or avoid them altogether. To sum up, the question is, should I mention summer internship I will have in 2017 summer in my cover letter? I dont really have other finance internships. If so, how would you say it? Yes, but please use the correct grammar when you mention this internship. Correct grammar is essential in cover letters/applications in general, especially in the UK where they love to cut people for typos and small mistakes. Hi Brian, I’ve been a long time reader. Just a quick question – why does the “print as PDF” function not generate the titles of the articles now? Only “Mergers & Inquisitions” is shown at the top. Many thanks. I don’t know, I’ll see if we can fix that. Thanks a lot Brian for this article ! 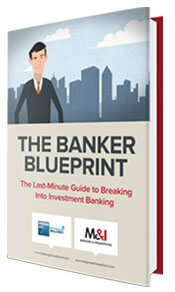 Insightful and full of resources for those who are willing to go further ! Great insights (as always)! It is so easy to get self-content with looking at companies (and phenomena in general) through a crude, binomial classification. It is thus a refreshing reminder to think about companies through a gradient/spectrum/multi-factor assessment. I remember that Prof. Damodaran at NYU also proposes that every valuation model should at the minimum provide a distribution of prices instead of just giving an interval of numbers. But looking back at history, I am sure that today’s crude, “standard” valuation approaches are much more sophisticated than say 30 years ago, so I hope that in time more sophisticated methodologies will start creeping into the industry to become the “new norm”? Thanks. I agree with the sentiment, but I’m not sure I buy into the probability distributions he recommends because many of the assumptions in a model are not independent. Scenarios are often a better solution, especially in industries like real estate where key assumptions move together. I doubt that valuation will get that much more sophisticated, because it’s always more art than science… but who knows.